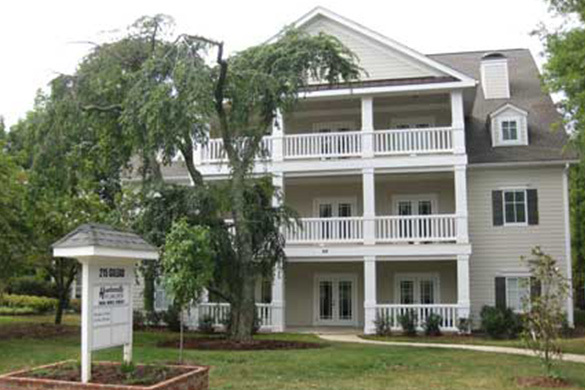 Locally-owned and serving the Huntersville area. Designer eyeglasses, high-tech lenses and great fitting eyewear. We bring top designer brands with the latest styles and technological advances to our patients. 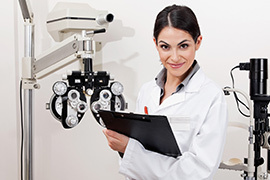 Our eye care team will find the perfect fit for you. 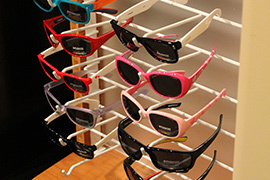 Designer sunglasses, with or without prescription, including protection against harmful UV rays. Don't forget to protect your eyes from damaging sun rays when driving, at the lake or simply enjoying the outdoors. 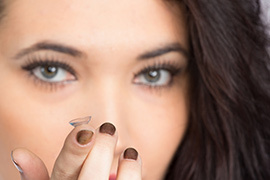 Let us evaluate your visual needs, prescription and long-term health and determine which type and brand of contact lenses are the best fit for you. 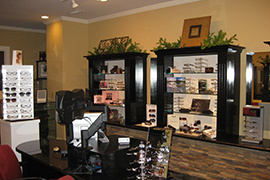 One of the Lake Norman area's newest eye care facilities, Huntersville Eye Care Center is conveniently located in downtown Huntersville in the Charlestowne building across from Huntersville Elementary. We are only two blocks from the Town Hall and Discovery Place Kids. Monday - Wednesday 8:50 a.m. - 6 p.m.
Thursday 8:50 a.m. - 5 p.m.